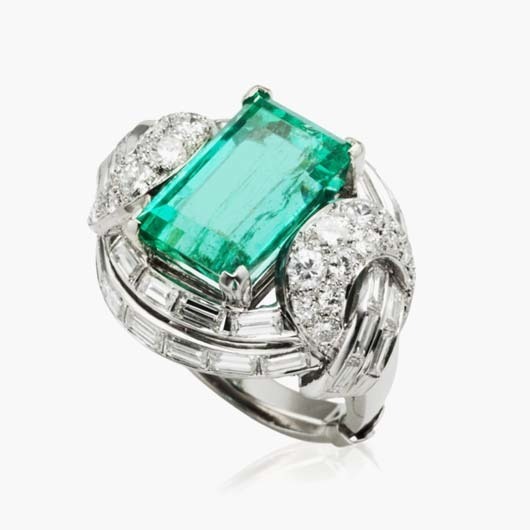 Christie’s Jewels Online features a broad selection of vintage, retro and Art Deco jewelry, including designs by Buccellati, Cartier, Tiffany & Co., Van Cleef & Arpels and David Webb. With over 190 lots on offer and bidding starting below $2,000, this online auction includes an exceptional range of jewels that would make the perfect addition to any collection. June 3-13 2016. courtesy Christies. copyright Christies. with thanks.